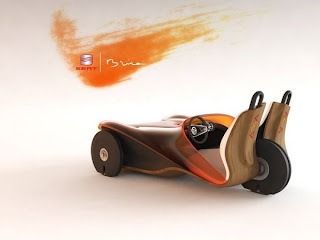 From Spain comes the BRISA (Spanish for "breeze"), a three-wheeled two-seater 100% solar powered. Tell your folks to trash the hybrid, it's all sun or nothing now. Read more about it here.